Good food may be the most important thing in a restaurant, but it’s not the only factor that influences its success. After all, plenty of restaurants with good or even great food go under within the year. Why does this happen? A lot of interconnected factors play a part. The restaurant needs to be in a good location to generate traffic. The marketing needs to be sound. And the atmosphere needs to be memorable, something that will get guests talking and coming back for more. And when it comes to establishing atmosphere, pro AV equipment is one of the most important things — and also one of the most overlooked. Often, restaurant owners don’t understand why they should be investing in the right AV equipment, and they don’t do enough research to figure out which system is right for them. The fact is, all AV systems are not created equal. Restaurants often stick with traditional AV equipment because they think it’s more convenient. But many traditional AV can be difficult to learn, more difficult to update, or simply outdated and inconvenient. This leads to restaurant owners not using the equipment to its fullest potential, or even giving up altogether. This is why more and more businesses are turning to AV over IP instead of traditional equipment. CTO of RGB Communications David Webster isn’t surprised by this. “It is inevitable that the current generation of smartphone users will come to expect a level of video connectivity that is wireless (already some devices don’t have video output ports),” he says. AV over IP is a modern technology, and it works using the internet, which is a technology most people already know how to use. AV over IP can take your restaurant’s AV — and your customer experiences — to the next level. And it can do so in a way that is seamless and intuitive to your employees. Restaurant AV equipment can be used for a number of things that one might not ordinarily think of. 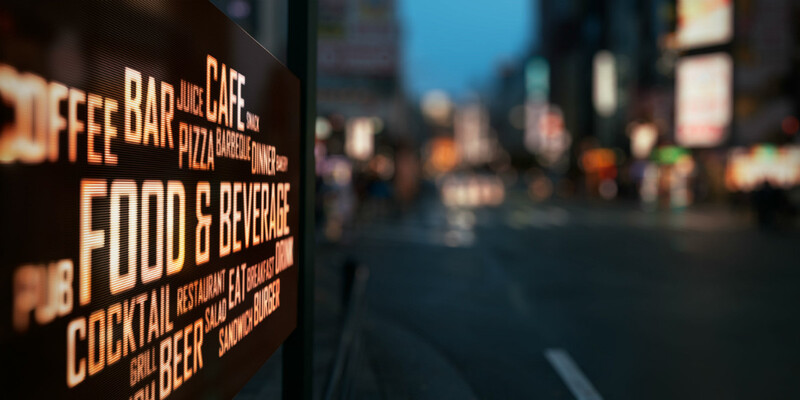 For example, Rich AV Design suggests using a video display instead of a physical sign for daily menus, as it could be easier to change. Displaying specials could be done in seconds with a visual display. Ingram Micro Advisor also notes that AV can be used to display video and image in real time. This can be very useful during special events like concerts and on game nights. On ordinary days, it could be used for something as simple as entertainment while people wait to be seated. Exactly what you’ll be using your AV equipment for will probably depend on what sort of restaurant you are. If you’re a large Irish pub, you might use AV over IP for advertising drinks specials or for conducting pub quizzes. 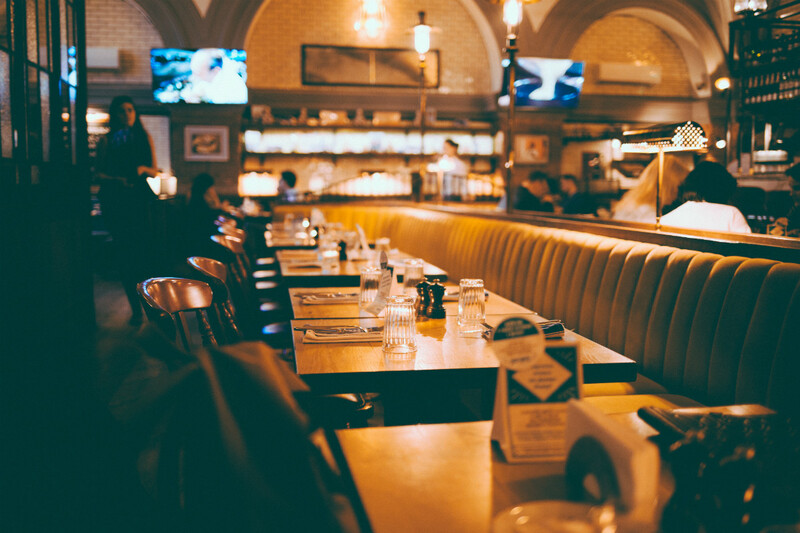 If you’re in a big destination restaurant, however, you might use the technology for wayfinding or communicating with diners who are waiting to be seated. This mindset also applies to video equipment. A little bit of research can save you a lot of headache in the future. So, what sort of AV equipment should you be looking for? Restaurants need something that’s flexible and easily adaptable. It also needs to be high-quality enough to add to your guests’ dining experience. Finally, it needs to be easy for you to use. AV over IP hits all of these marks. “AV over IP solutions make it possible to distribute low latency, full HD, quality video content eliminating the technical and financial challenges of distance, image quality, scalability, flexibility and cost often associated with conventional matrix switcher workflows,” the Alpha Video team notes. Further, Michael BraithWaite at ClearOne demonstrates how easy AV over IP is to install and adapt to your needs. AV professionals have been moving toward AV over IP for a number of reasons. For one thing, the technology is state-of-the-art without being intimidating to clients. For another, it’s easier to understand than most legacy equipment. The Lightware team in Budapest notes that the main benefits of AV over IP include distribution, image resolution, low bandwidth with high quality, reduced cost, scalability, and cost effectiveness. He’s not the only one who praises this technology. “As more traditional AV applications become IP connected, so too do traditional AV products,” says Rainer Stiehl, European vice president of marketing at Extron Electronics. It’s easy to see that many professionals are on board with AV over IP as a concept. But what steps can you take as a business owner to implement it correctly? Many restaurant owners only see AV equipment as an afterthought. By building it in at the design phase, you have many more opportunities to maximize its benefits. If you’re trying to update the AV equipment in your existing restaurant, however, all hope is not lost. After all, one of the biggest benefits of AV over IP is that it’s flexible. It might take a bit more research to figure out which system is right for your business, but it’s absolutely doable. Keep in mind that an AV system is a dynamic thing, and implementing it doesn’t stop at launch. Schedule regular check-ups to make sure everything is running smoothly. Because AV over IP works using the internet, it will continue to update and grow as the technology grows. Regular check-ups will ensure that everything works as it should. Ultimately, it will take a bit of time to find the perfect AV over IP system for you. 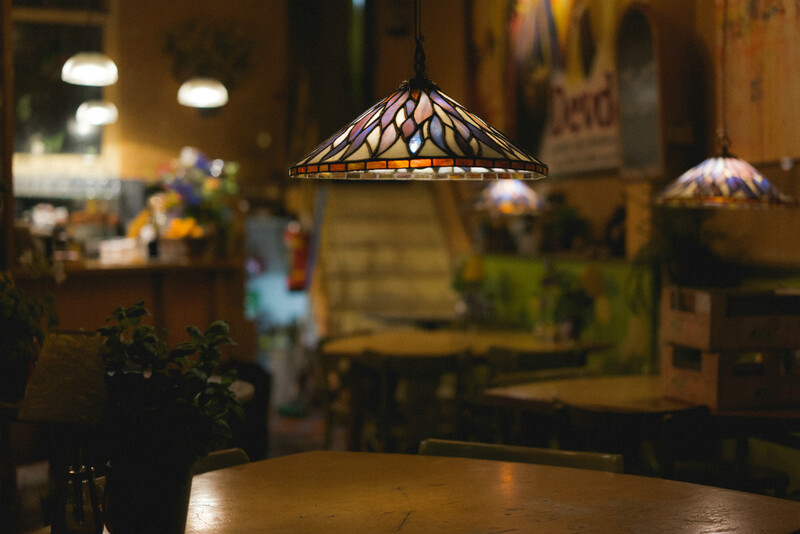 But take that time, and you can create an atmosphere that keeps your restaurant running for years after others have closed.